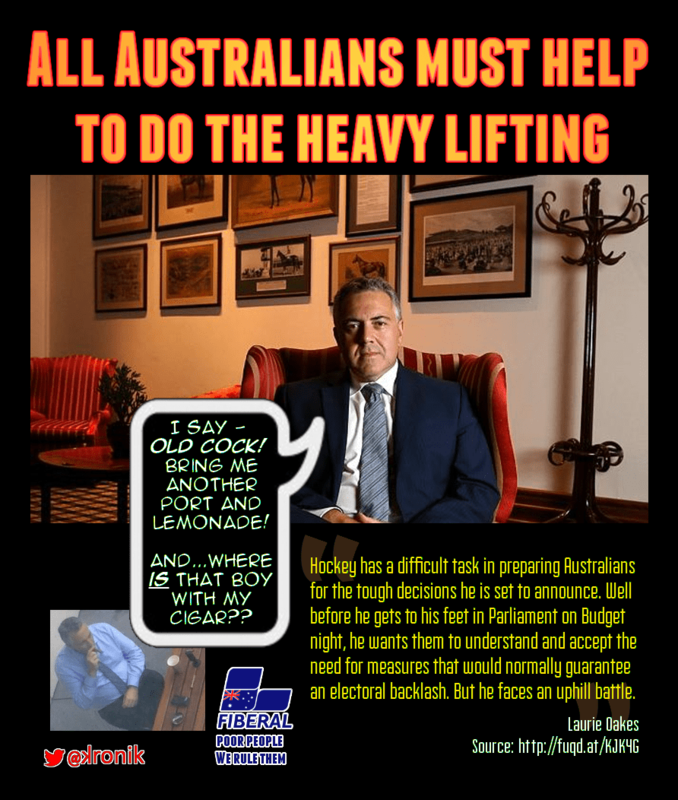 Joe Hockey lives the high life for the rest of us, its budget pain. Our cigar toting Treasurer urges all of us to restraint. He’s gonna give Australia budget pain. Joe’s budget pain includes his savagely cutting services and slashing our social safety net. He’s going to impose austerity on Australia like it’s never seen before. Meanwhile, Joe loves a cigar. Do you know how much they cost? Luxury Joe also loves to spend time in exotic and exclusive private clubs. He is a Tory you know. And don’t forget, like all Tories, Joe was born to rule. Are right-wing nut-jobs trying to take over the world?